This money-saving set contains 2 - 8" Inch knives, one 8" slicing knife, and a great 8" chef knife. This set also contains one extremely sharp paring knife and utility knife. This is the knife set to have. 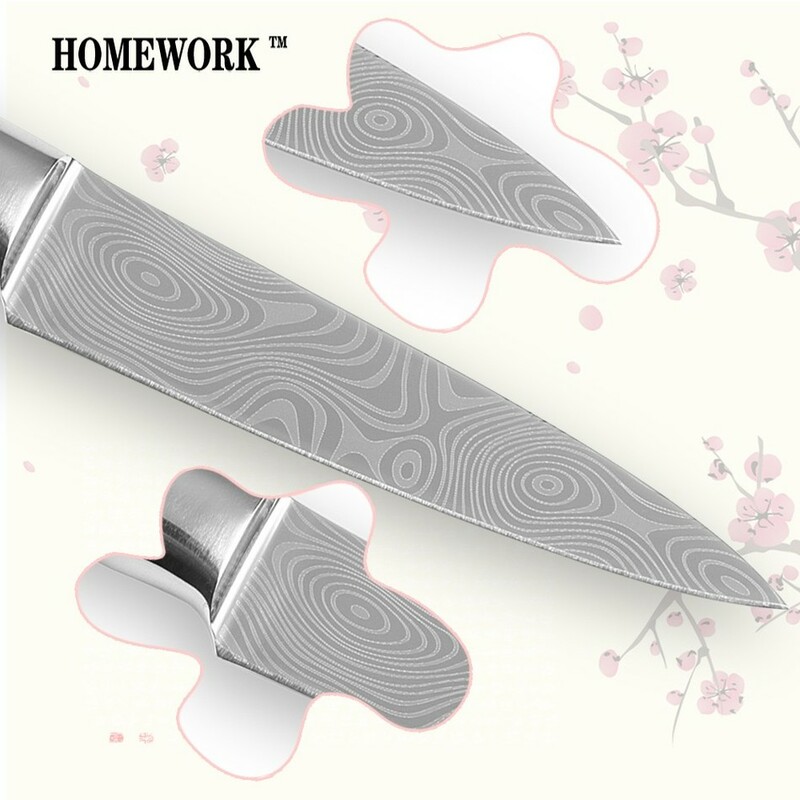 Great Damascus styling on high-quality high carbon stainless steel. 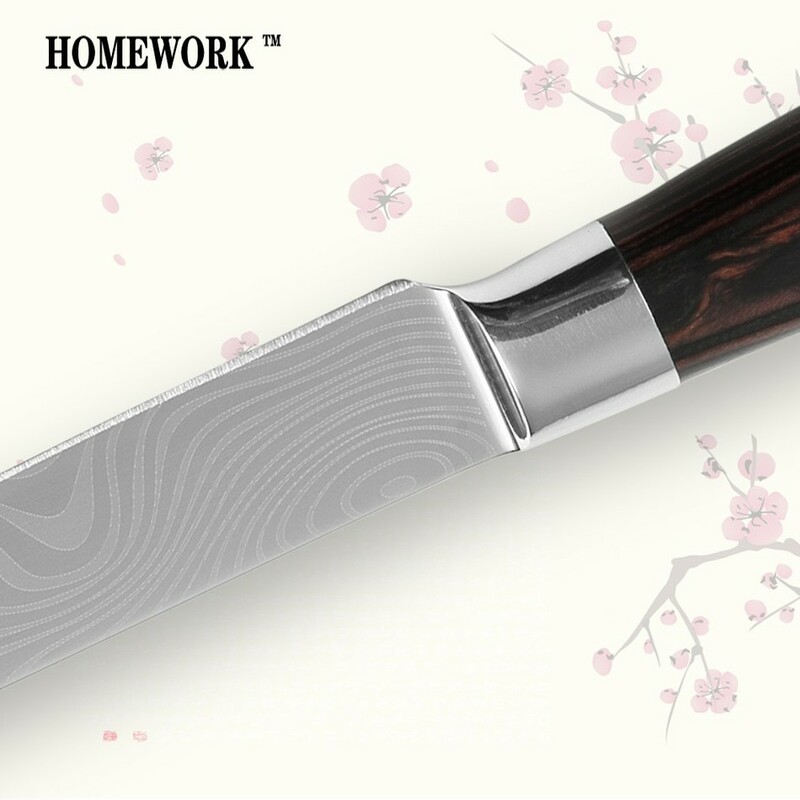 These knives are super sharp and made with great care with the highest quality materials used. Look at the 100's of Positive reviews from customers all over the world. Buy your set today and give your kitchen knives the upgrade they deserve! 1. 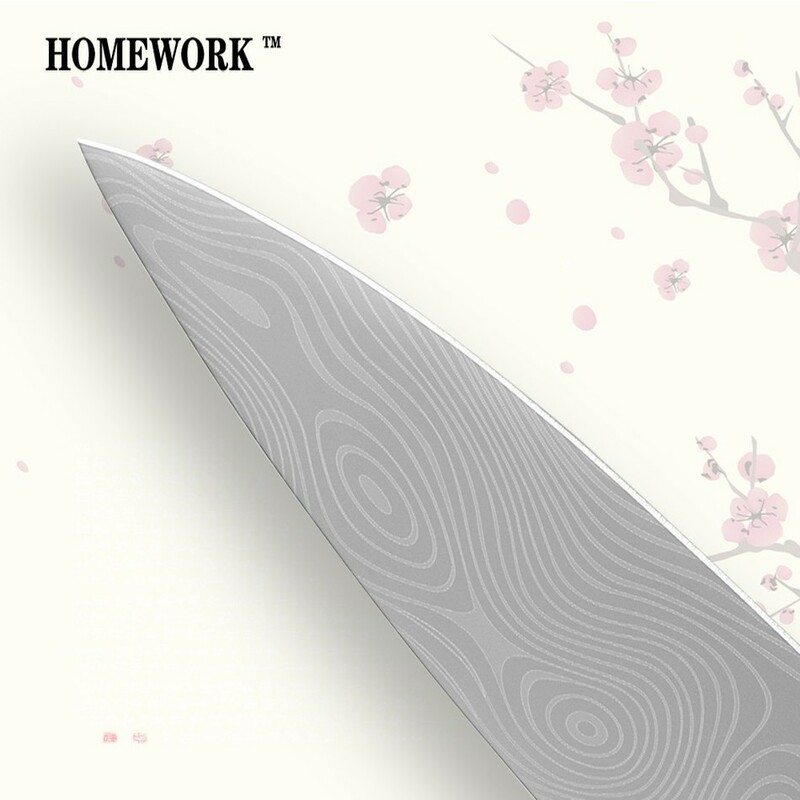 Kitchen knife blade is made of strong stainless steel, it is super premium high-grade material. 2. Brings out unbelievably well and sharp edge, so the knife is very easy to use. 3. 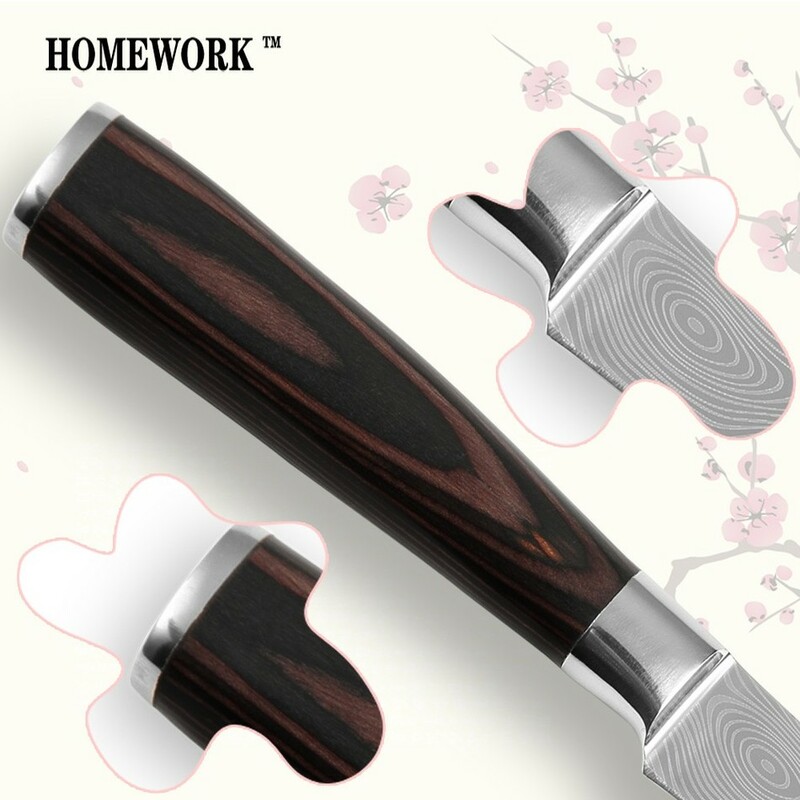 It has a beautiful Pakka wood handle and decorative pattern design on the blade. 4. These cooking knives make a great gift. Please wash by hand. 5. The design of the handle is curved.